Salaams and welcome back to the Halal Blogosphere where man and food collide for a fusion of opinion, flavour and social comment. Last week your Halal Food Reviewer was tipped off to try out the Chicago Gourmet Burger Company which has recently set up operations in Birmingham. The only clue given to its exact location was it was near the Subway outlet adjoining the Matthew Boulton Campus on the east side of the city centre. Its not the easiest place in Birmingham to find and its tucked away in a discrete part of the student quarter on the Eastside. If you can locate the Subway then follow the narrow road around the block and you will stumble upon the diner. If you’re driving your best bet would be to park in one of the city centre car parks and walk to the diner. Its a short walk from both the Bull Ring and the Priory Square for those who know their Birmingham city centre geography. Their website address is http:/www.thechicagoburger.com it is currently a holding place but hopefully address details will be added soon! What struck me instantly upon entering was how busy the diner was and I do refer to it as a diner, the decore is fresh, contemporary and modern and the majority of customers seemed to be students from the local college or university campuses. The owners have put some real attention into the whole concept and its easy to see the Chicago Gourmet Burger Company morph into a chain. The menu is really simple, you have a choice of any number of burgers from the Real Deal to the Milana Classic to the Chicago Tower as well as chicken, fish and vegetarian options. The majority of burgers come in beef or lamb options with the extra option to add a spicy kick to your burger of choice. The burgers are served with some really authentic chips cooked in their jackets with an option of a hot topping ranging from curry sauce and spicy baked beans to vegetables and a spicy lamb fusion topping. I opted for the Milana Classic Meal going for the lamb option which comes with chips, a hot topping and a bottled soft drink for a very reasonable £4.99, there is also the option to double up on your burger of choice as well as a range of others sides and extras. The CGB Company also offers a range of jacket potatoes, hot drinks and desserts. The restuarant definitely has a diner / contemporary feel to it and lends itself to its student crowd, the diner closes at 8pm so if you’re on the look out for a late night burger you will probably be out of luck. The service was great, the team seems really professional with the serving team happy to guide you through the various options and introduce the menu to you. The guy who served me threw in an extra side which he recommended in addition to what I ordered, small touches like that can make a big difference and its a really good way to encourage your customers to try different things on the menu. What about the food I hear you cry! My meal was spot on, the burger was succulent, full of flavour and I could really taste the lamb. If you’ve had the misfortunate of eating 99p cheeseburgers then this is your road to redemption and recovery. The chips were perfectly cooked and came in a sensible sized portion with customers free to select extra sauces free of charge. I really loved the little touches in terms of presentation. The burger came wrapped in a foil wrapper with the exterior offering a full menu option as well as built in customer feedback form. The chips arrive in a contemporary cardboard serving box and you are also provided with a napkin, fork and lemon hand wipe. Again this is nothing spectacular but it sets the diner out from its competition and definitely places the focus on customer service. The Chicago Gourmet Burger Company is a great addition to the halal dining experience that is Birmingham, ever since I tried Archies in Manchester I have been looking for a really interesting specialist real burger company to open in Birmingham and Chicago Gourmet Burger Company has stepped in at the right time and delivers a really high quality experience. If I could encourage the company to make any changes it would be to introduce a funky milkshake menu to really complete the menu. If you’re in Birmingham and looking for a high quality burger than Chicago Gourmet Burger Company needs to be your point of call. The HFR team wishes them the best of success and we wouldn’t be surprised to see the concept and the chain grow. Its a big thumbs up from me! 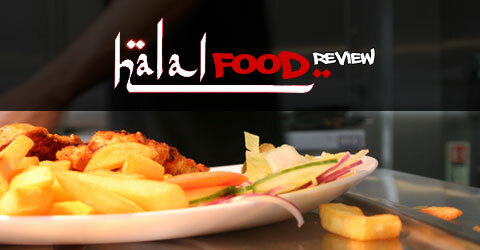 Overall rating 8.5 Chicago Gourmet Burget Company has brought a much needed premium halal burger concept to the city!